Earlier this week I requested a rather voluminous amount of information from communications director Kathleen Kennedy, and essentially within 24 hours the spreadsheet was in my e-mail inbox. Guess what's tucked into the health care bill? Early childhood home visitation. Is Oklahoma's graduation rate 85 percent? 78 percent? Something else? Christine O. Wolfe tries to sort it all out in this new report. Jay P. Greene's new article on the subject is here. Noting the "massive amount of money that is being spent for public education," the Enid News and Eagle wants to know: "Where in the world is this money going and why isn't it ever enough?" If billions of brand new stimulus dollars can't keep teachers and programs in place across the country, it begs the real question of just where the money is going and how much money is being spent on programs or processes that have nothing to do with curriculum? We need a major overhaul in education in this nation. Education is too important to our economic future and simply throwing more money into what appears to be a black hole just doesn't make sense. Dr. Charles Glenn is a professor at Boston University's School of Education. From 1970 to 1991, he was the director of urban education and equity for the Massachusetts Department of Education. Last year at a White House summit on faith-based urban schools, Dr. Glenn reminded his listeners that "the right of parents to choose the schools that children attend is an internationally accepted norm." Every country in the world except North Korea, Vietnam, and Cuba allows parents to choose schools. Every western democracy except the United States provides public funding to support those choices. As you all know, I think, under a decision of the Supreme Court in 1925, that right of parents to choose schools is recognized in American law as well. But there's a fundamental equity issue in the American situation in that parents who lack the resources to support nongovernment education for their children, are not able to exercise the right that they possess under those international norms. The various international covenants for human rights spell out clearly that this is a fundamental human right, and the United Nations and UNESCO have both agreed that it is fundamental in vindicating the right to education that the education provided not only be adequate, but that it be acceptable to parents. The rest of his remarks (which begin on page 74) are worth reading. The PDF is here. This coming Friday would have been the 97th birthday of Nobel Prize-winning economist (and school-choice champion) Milton Friedman. As part of the Friedman Legacy for Freedom campaign, the Milton and Rose D. Friedman Foundation is partnering with groups all over the country that day to honor Dr. Friedman. Indeed, 50 events in four countries, nearly all U.S. states, and the District of Columbia will take place on Friday (July 31) honoring the life and legacy of Dr. Milton Friedman. Here in Oklahoma, OCPA and Americans for Prosperity are hosting a school-choice fair at the Oklahoma City Zoo. Click here to learn more. "Although the size of the K-12 private school employee workforce is at the present time relatively small, that may not be the case in the future. Because of advances in technology, alternative financing arrangements, and other innovations, the way in which the nation's children are being educated is changing, and the line between the public sector and the private sector is becoming increasingly blurred. The emergence of 'virtual' elementary/secondary schools in some states, and the nationwide push for more charter schools (which the United State Department of Labor has asserted – incorrectly, we believe – are private-sector entities for purposes of the Labor-Management Reporting and Disclosure Act), are illustrative. Allowing K-12 private school employees to become NEA Active members would provide the flexibility necessary for NEA to deal with the foregoing situations and other situations that cannot now be fully anticipated." Dr. James J. Heckman, a Nobel laureate, endorsed school choice at a summit on early-childhood education today in Oklahoma City. Dr. Heckman said school choice "engages both the private sector and the public sector in production of ideas to meet educational needs." He said choice is based on the idea that there are, or ought to be, "multiple, diverse modes of delivery. The process of experimentation is necessary, to involve the private sector in development." Heckman said "the early years of education are decisive" for children, and "there is a concern about imposition of a universal template" in educational policy, a "fear of one size fits all." 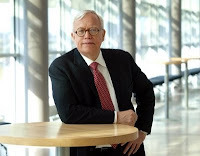 School choice "has a role, competition plays a role" in good education policy, said Dr. Heckman, a professor of economics at the University of Chicago who won the 2000 Nobel prize in economic sciences. He said private-sector involvement will assure that private money and financing is made available for education needs, including early childhood education, "especially in times of economic challenge." Heckman said choice in education demonstrates "respect for cultural diversity," and is a way to "improve funding and performance." The early years are "a delicate time of life, when cognition and self-control [are] established," he said. When education choice is permitted, "religious groups can pick for themselves" how to meet those needs in development of a child's cognition and self-control. He said such programs can and should accommodate the interests of "Orthodox Jews, Mormons, Southern Baptists, you name it." Dr. Heckman pointed to an early learning foundation scholarship program in Minnesota which, he said, brings "state and private money into early childhood education." The program helps parents make informed choices, in part because parental involvement is a requirement for children to access the program. Dr. Heckman gave his analysis during a press conference before the summit. He was one of the keynote speakers today at the Oklahoma Economic Summit on Early Childhood Investment. The summit, sponsored by Smart Start Oklahoma, was held at the Skirvin Hilton Hotel in Oklahoma City. 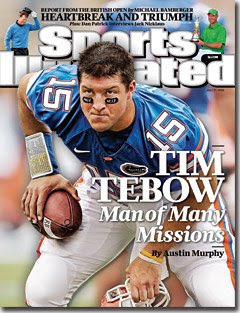 Even this Sooner fan has to agree with Austin Murphy, whose cover story is headlined 'You Gotta Love Tim Tebow'. In the August 1 issue of World magazine, Marvin Olasky points out that "on school choice and community-building, conservative Christians can work alongside New Urbanist groups." Among those who recognize the benefits of school choice are San Francisco architect Peter Calthorpe, Duke economist Thomas Nechyba, and John Norquist, president of the Congress for the New Urbanism. According to a new report from the Center for American Progress, a liberal think tank, Oklahoma spends more than $28 million per year "in a manner that is not even suspected of promoting higher levels of student achievement." Teacher salaries increase each year with longevity and graduate credits, making them destined to escalate, and yet they have little link to student achievement. Decoupling salary from experience is a tall order, but forward progress on school reform requires school districts to revamp their spending habits somehow. 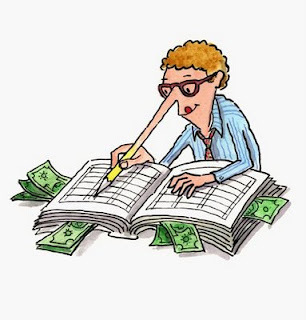 One habit related to experienced-based salary is the practice of paying a teacher with a master's degree more than an otherwise identical teacher with only a bachelor's degree. The long-cherished "master's bump" makes little sense from a strategic point of view. On average, master's degrees in education bear no relation to student achievement. Master's degrees in math and science have been linked to improved student achievement in those subjects, but 90 percent of teachers' master's degrees are in education programs -- a notoriously unfocused and process-dominated course of study. Because of the financial rewards associated with getting this degree, the education master's experienced the highest growth rate of all master's degrees between 1997 and 2007. I find it remarkable that state Sen. Jay Paul Gumm (Point of View, July 19) suggests that giving everyone a choice as to where their child attends school is somehow elitist. In fact, the educational status quo gives parents no choice — unless they can afford one! Many hardworking, middle-class parents are actually paying twice by not only paying their own kids' tuition bills but also paying property taxes for the no-choice education system Gumm advocates. A voucher system is the great equalizer by giving all parents, not just the wealthy, the right to choose. Sadly, like everything else the government runs, public schools are simply not as successful as private alternatives in achieving educational excellence. The youngest person to have sailed around the world alone "has endured countless issues ranging from minor to severe: a pirate scare, ferocious seas, damaged rigging, long and monotonous windless periods in stifling weather, sleep deprivation and near-collisions with steel-hulled freighters," The Los Angeles Times reports. The Home School Legal Defense Association says it's time to light up the switchboard. "Institutionalized early education programs are an assault on parental rights and limited government," William A. Estrada writes. Education professor Jay P. Greene advises people to become a teacher. Come join us at the zoo! July 31 would have been the 97th birthday of Nobel Prize-winning economist (and school-choice champion) Milton Friedman. As part of the Friedman Legacy for Freedom campaign, the Milton and Rose D. Friedman Foundation is partnering with groups all over the country that day to honor Dr. Friedman. Here in Oklahoma, OCPA and Americans for Prosperity are hosting a school-choice fair at the Oklahoma City Zoo. Click here to learn more. "Far from being an engine of wealth creation, the education system is bleeding the economy to death," Andrew J. Coulson argues in Investor's Business Daily. "Some cash-strapped states and school districts are signaling a major expansion of charter schools to tap $5 billion in federal stimulus funds, despite strong opposition from some teachers unions," The Wall Street Journal reports. Reform? Or more of the same? More education "stimulus" money is headed to Oklahoma. Any chance it will merely subsidize the status quo? New victories in Arizona and Indiana. last January the Cartwright family (name changed to protect privacy) ran into trouble with their local Oklahoma Social Security office. Their homeschooled daughter, a high school senior who just turned 18, received notice from the Social Security Administration that her benefits were being cut off because she was "not a full-time student." She was eligible for these benefits because her father is a disabled veteran. The Cartwright family turned to HSLDA to assist in reversing this decision that discriminated against homeschooling, and we were able to appeal the denial. Recently the family was notified that they would be receiving a check for the missed payments between February and their daughter's graduation date—for the amount of $5,628. Advanced Academics, Inc., a leading online education provider, will host a summit July 14-16 at the Cox Convention Center in Oklahoma City. Michael B. Horn, co-author of Disrupting Class: How Disruptive Innovation Will Change the Way the World Learns, will deliver the keynote speech on the role of innovation in education. "Oklahoma parents deserve the choice, their children deserve a better education, and taxpayers and corporations deserve a break," Karla Dial wrote in a letter to the editor published Sunday in the state's largest newspaper. A civil rights watchdog organization, the Citizens' Commission on Civil Rights (CCCR), has issued a report identifying national teachers' unions as a major obstacle to equality of educational opportunity in America. It's a strong indictment. The 36-page report, National Teachers’ Unions and the Struggle Over School Reform (PDF), "seeks to set forth a full and fair explication of the words and actions of national unions over the last several years," with respect to educational reforms at the federal level. The report identifies three reforms that have been the primary targets of national teacher unions: accountability and assessment systems, teacher assessment and merit pay, and "equalization in the distribution of qualified teachers." Over the last decade, the national leaders of the National Education Association and the American Federation of Teachers have made their unions implacable foes of laws and policies designed to improve public education for disadvantaged children. The unions have battled against the principle that schools and education agencies should be held accountable for the academic progress of their students. They have sought to water down the standards adopted by states to reflect what students should know and be able to do. They have attacked assessments designed to measure the progress of schools, seeking to localize decisions about test content so that the performance of students in one school or community cannot be compared with others. They have resisted innovative ways--such as growth models--to assess student performance. In their attack on education reform, the national unions have often been unconstrained by considerations of propriety and fairness. They have sought to inject weakening amendments in appropriations bills, hoping that they would prevail if no hearings were held and the public was unaware of their efforts. They have used the courts to launch an attack on education reform, employing arguments that could imperil many federal assistance programs going back to the New Deal. They have failed to inform their own members of the content of federal reform laws. Worse yet, the NEA has on more than one occasion counseled disobedience to the law. ...[T]he national teachers unions opposed [forgiveness for teachers in high-poverty areas]. They wanted loan forgiveness for all teachers or nothing. When subsequent proposals were made to target such assistance on teachers in high-need subjects and specialties, the unions again opposed such targeting as unfair, even though these amendments were intended to address severe shortages in subjects like math and science and specialties like special education or English as a second language. The introduction notes that unions' opposition to reform has led to "calcified systems in which talented people are deterred from applying or staying as teachers because they believe their skills will not be recognized or rewarded." The CCCR can't be dismissed as "conservative and right-wing bastards picking on the NEA," to borrow a phrase from National Education Association general counsel Bob Chanin. A look at the CCCR's list of commissioners reveals a long list of Democratic elected and appointed officials, including two former Democratic senators (Birch Bayh and Bill Bradley), the Democratic delegate to the U. S. House from the District of Columbia (Eleanor Holmes Norton), and members of the U. S. Commission on Civil Rights (USCCR) and Equal Employment Opportunities Commission (EEOC) appointed by Democratic presidents. Their Republican colleagues were Nixon-Ford era appointees. Unfortunately, the CCCR report is focused on federal education programs like "No Child Left Behind." CCCR has a blind spot when it comes to the obvious way to make quality education accessible to the neediest children: school choice that allows them to opt out of union-calcified public school districts. Well, you gotta admire the candor. Educating the children (bless their little non-dues-paying hearts) is important, NEA general counsel Bob Chanin acknowledged last week. But educational goals "need not and must not be achieved at the expense of due process, employee rights, and collective bargaining. That simply is too high a price to pay." National Education Association general counsel Bob Chanin addressed the NEA Representative Assembly last week. He asked, to raucous applause from your children's schoolteachers, "Why are these conservative and right-wing bastards picking on NEA and its affiliates?" Nowhere on the "About OEA" page of the Oklahoma Education Association website will you find the word "labor" or the word "union." Which is interesting, because Mike Antonucci reports that in his keynote speech to this year's NEA Representative Assembly, NEA president Dennis Van Roekel used the words "union" or "labor" 14 times. "Our efforts were built on the successes of unions in the private sector," he said. "The union movement created the middle class, ended child labor, championed public education, and gave working men and women a strong voice. Plain and simple, you can't have a middle class without unions! We need unions." Indeed, Antonucci reports, "this year NEA finally embraced the labor union label it has downplayed for 25 years. Delegate after delegate touted unionism and identified themselves proudly as part of the broader labor movement. [Retiring NEA general counsel Bob] Chanin told the crowd that while professional issues were important, 'NEA and its affiliates should never lose sight of the fact that they are unions.'" Patty Miller of The Edmond Sun reports on the special-needs tax credit idea recently unveiled by the Friedman Foundation and OCPA. "The process of getting schools and parents on the same page with regard to the education plans required for special-needs students can be painful," the state's largest newspaper editorializes today. "Some schools do a much better job than others of meeting the needs of special education students. Whether a scholarship tax-credit program and private schools are what's best for a particular student group is worthy of a fair hearing, even as the union cries foul." Mike Antonucci reports that in his address to the National Education Association Representative Assembly last week, U.S. Secretary of Education Arne Duncan reminded his unionized listeners that teacher unions were set up on an industrial model that treated teachers as "interchangeable widgets." Ouch. But of course he's right. As I wrote a couple of years ago, teacher unions need to tell us whether their members are "professionals" or "interchangeable automatons." Jacob Sullum is encouraged that apparently "there are still limits on what government agents can do to our children." "This public school emperor isn't just naked," Andrew J. Coulson writes, "he's mincing about flamboyantly and daring onlookers to call him sartorially challenged." Hidden behind the charitable veneer is the real purpose -- establishing the pattern of public funding (after being washed through the hands of the so-called donors) going into private school bank accounts. It would be hard to overstate how incorrect that sentence is. There is no "public funding" involved. Referring to donors as "so-called donors" is nonsensical. And one cannot "establish" a pattern that is already firmly established. I realize the World is more devoted to left-wing ideology than to actual children, but they're going to have to do better than this. It's a good thing for Lexie that the World's editorial writers aren't in charge of Arizona's government. Oklahoma may or may not finish this fiscal year in the black, and the consensus seems to be that next year's budget situation will be worse. Oklahoma's share of "stimulus" money could help, but then again it could serve to lock in higher levels of spending, thus exacerbating our problems. And there's one proposal -- an item on next year's crowded ballot -- that is certain to cause headaches. Leaders of the state's most powerful labor union, the Oklahoma Education Association, are asking taxpayers for an additional $850 million annual bailout. It's called the HOPE initiative, a proposed constitutional amendment that would require the Legislature to increase per-pupil spending to the regional average. This is extremely irresponsible public policy, which is why even some of public education's biggest boosters are hoping against HOPE. Esteemed Oklahoma economist Larkin Warner, an unwavering supporter of increased funding for education, says reaching the regional average will require other areas of government -- such as roads and bridges, corrections, higher education and health care -- to take a hit. "Expenditure cuts on non-K-12 education functions will be a mathematical certainty," says Warner, regents professor emeritus of economics at Oklahoma State University. "The backlash to such a reallocation from other needed functions of state government would be profound and lasting." Ed Allen, president of the Oklahoma City affiliate of the American Federation of Teachers, AFL-CIO, wrote in The Oklahoman that "unless the state receives a windfall in additional revenue, 12 percent across-the-board budget cuts for every agency will need to occur." So with these fiscal storm clouds gathering over the dome, what's a policymaker to do? David Blatt of the left-of-center Oklahoma Policy Institute correctly suggests that "state policymakers will need to display a great deal of flexibility and willingness to utilize all the policy options at their disposal to keep the state budget afloat during the upcoming years." Numerous studies have shown that school choice can save money. Just two months ago, in a report prepared for the Florida State Board of Education, Paul Peterson and Martin West of Harvard's Kennedy School and Eric Hanushek of the Hoover Institution wrote, "There is no fiscal reason to eliminate any school choice options currently available to students and families. On the contrary, an expansion of those options would very likely yield savings to state and local taxpayers."